Bob came from a family with strong maritime connections. He was related to former Coxswain of the Swanage Lifeboat, William Dyke, and Bob himself was a world leading expert in historic diving equipment. Having collected historic diving pieces over more than 50 years, Bob had maintained a substantial collection of diving equipment including many demand valves, some of which were displayed at Swanage Pier. This association with the sea goes some why to explaining why Bob chose to leave a legacy to the RNLI, and having lived in Swanage for most of his life, the reason he wished to support his local station. 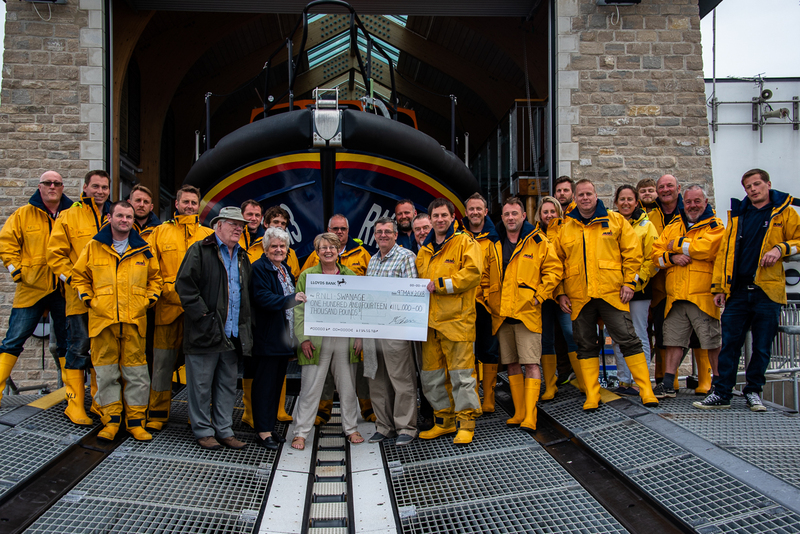 The family of Bob came to meet the crew, look around the lifeboat station and present the cheque to the crew. 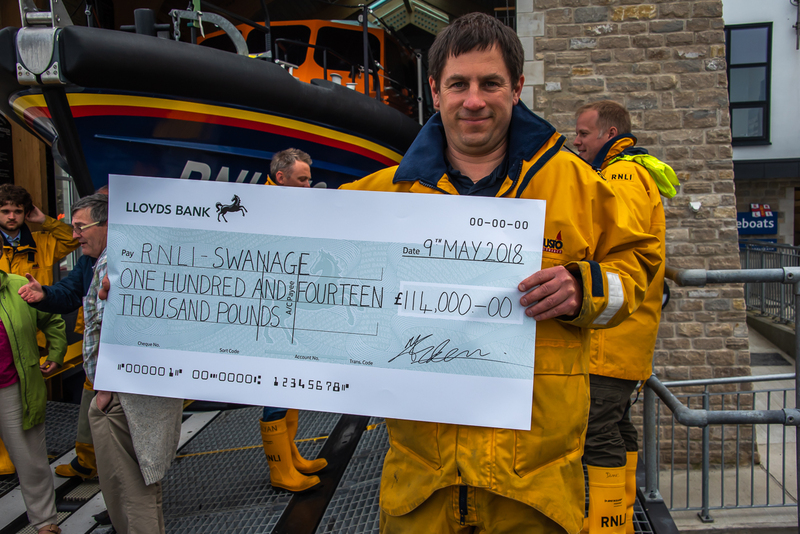 Volunteer lifeboat crew member Becky Mack said ‘it was amazing to meet the family and see first hand their personal interest in the RNLI and how pleased they were to see in more detail how Bob’s generous donation will be used at Swanage’. 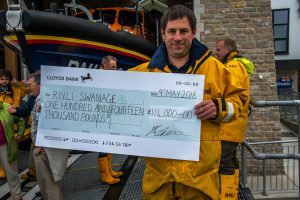 The funds will be used for the lifesaving work at Swanage Lifeboat Station.